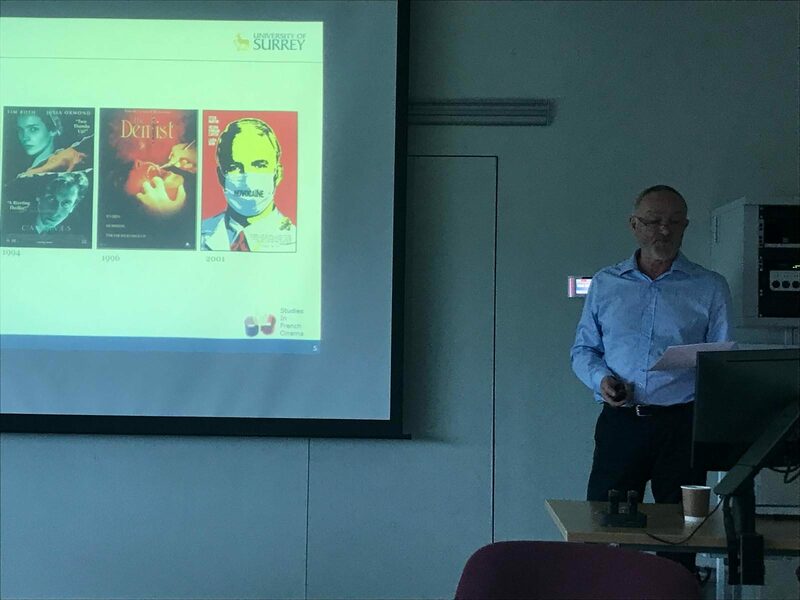 On 11 February 2019 I gave a talk on ‘Cinema and the medical profession’ at a conference in the University of Surrey on ‘Using Stories to Improve Health Care’. The conference was organised jointly between Surrey, Texas Tech University and the University of Bari in Italy. 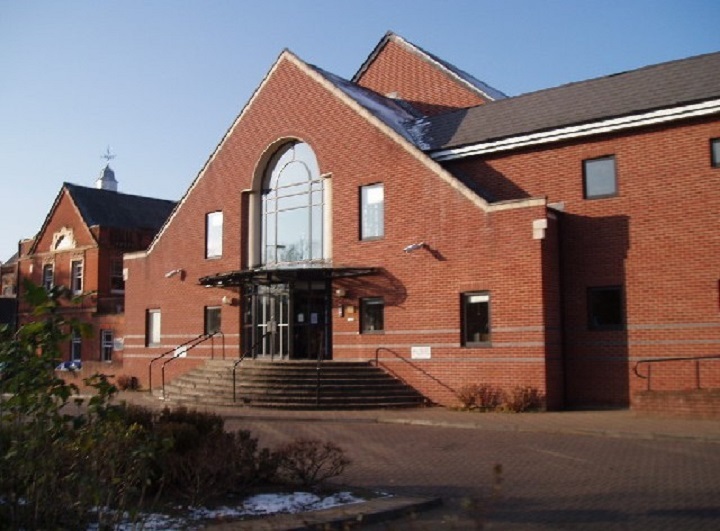 Its aim was to exchange ideas in how to use the arts and humanities to train health care professionals. My talk was (unusually) focused on anglophone mainstream cinema. 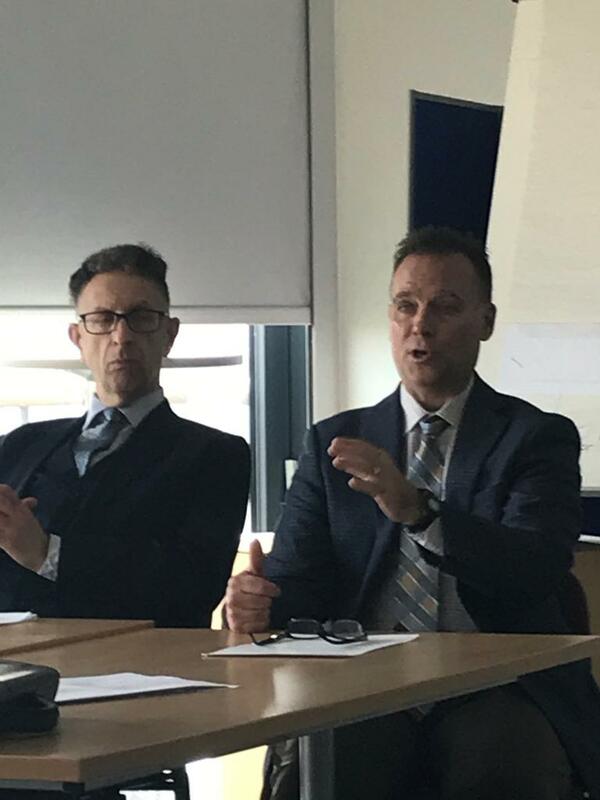 Colleagues Peter Barta and Michael Phy gave talks on Médecin de campagne (Irreplaceable, 2016) and Hippocrate (Hippocrates: Diary of a French Doctor, 2014) respectively. Other speakers from Surrey included Melaine Coward, the Head of the School of Health Sciences , who was also a co-organiser, Cath Taylor, and Richard Lyon. Speakers from the University of Bari included Carlo Sabbà and Antonio Stramaglia. 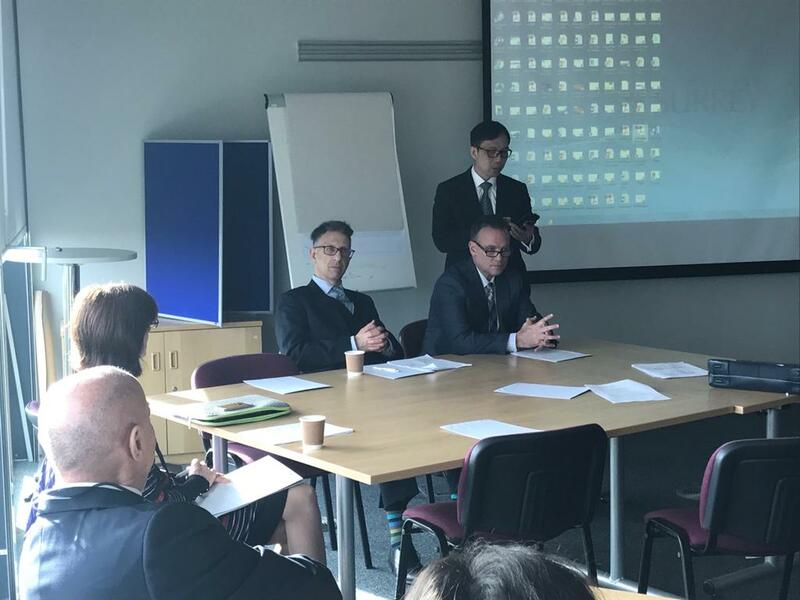 Other speakers included Air Commodore Professor Rich Withnall, Head of Research and Clinical Innovation in the Ministry of Defence Royal Centre for Defence Medicine, and Harold Kin Ming Cheng from the Chinese University of Hong Kong. 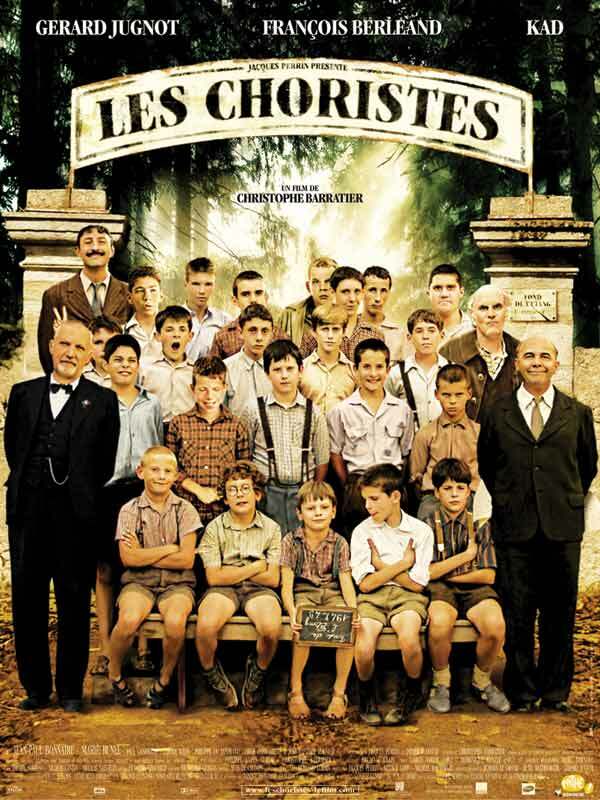 On Monday 4 February I gave a talk to Modern Language sixth-formers at Reed’s School on Christophe Barratier’s film Les Choristes (The Chorus, 2004). I was the External Examiner for Gemma Edney’s PhD on ‘Sounding girl, girl(y) sounds: Music and Girlhood in Contemporary French Cinema’ in Exeter on 17 December. As Gemma explains on her website, her PhD examines the representation of girlhood in contemporary French films, and asks how the sensations and feelings of girlhood adolescence can be heard, as well as seen, on film. She explores the use of music in a range of contemporary girlhood narratives, arguing that ‘music can allow an additional means of communication with the spectator, and can open avenues of identification between characters and audience members’. The Internal Examiner was Professor Will Higbee, one of the former General Editors of the journal for which I am the Chief General Editor, Studies in French Cinema. 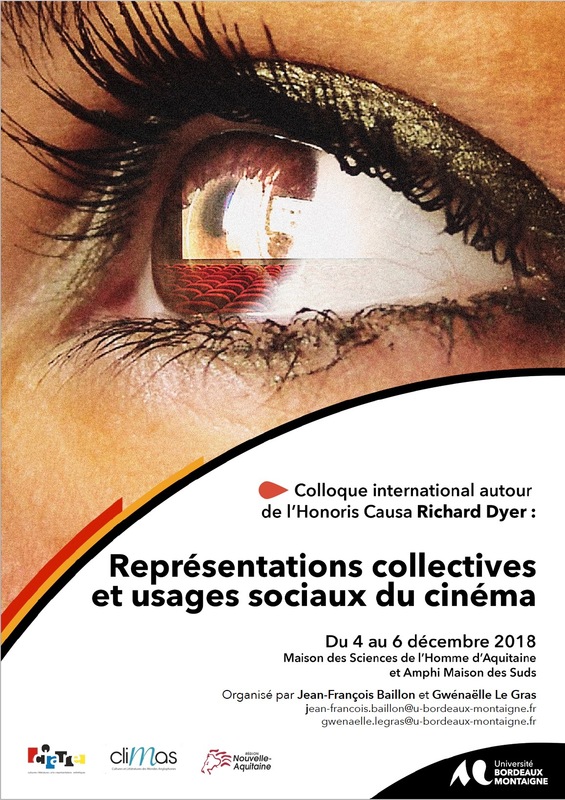 I was honoured to be one of the panel members examining a thesis by Sabrina Bouarour on the films of Vincente Minnelli and Jacques Demy, entitled ‘Les masculinités dans les films musicaux et les mélodrames de Jacques Demy et Vincente Minnelli’. The supervisor was Laurent Juillier (to my left). 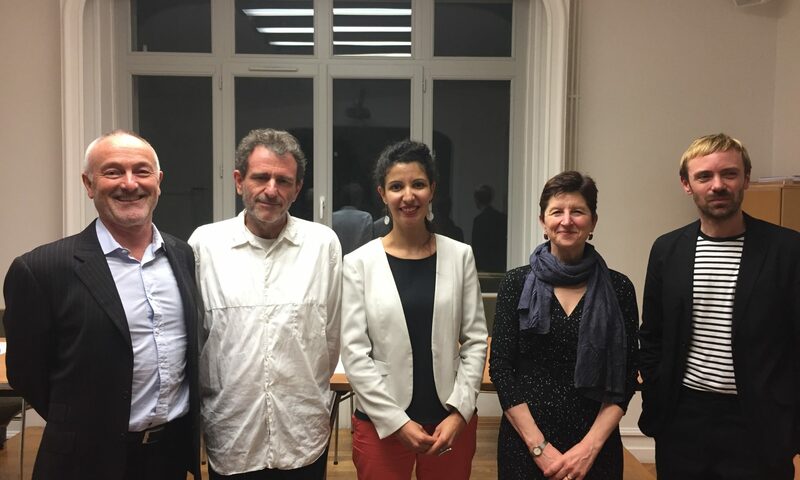 Also on the panel were Professor Laura Mason (Johns Hopkins) and Professor Nick Rees-Roberts (Paris 3), whom you can see to the left of Sabrina Bouarour. 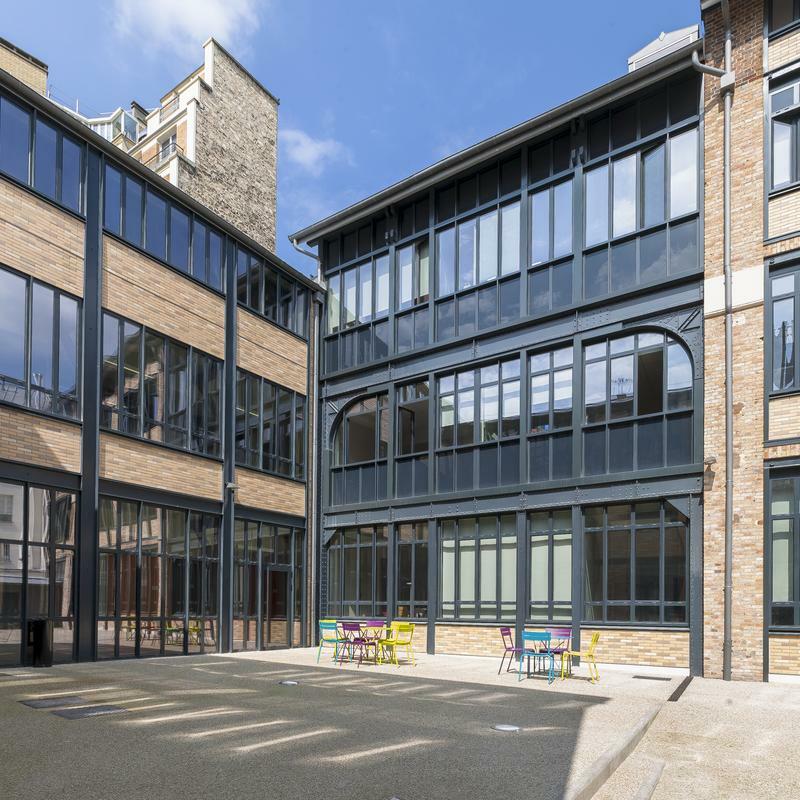 The viva took place in Paris 3-Sorbonne Nouvelle’s beautiful Maison de la recherche in the Latin Quarter. 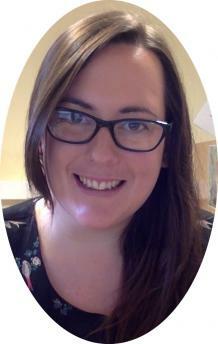 Sabrina is also a filmmaker, and is currently working on a documentary entitled Lights of Baltimore. You can read more about the project here, and there is also a Facebook page. 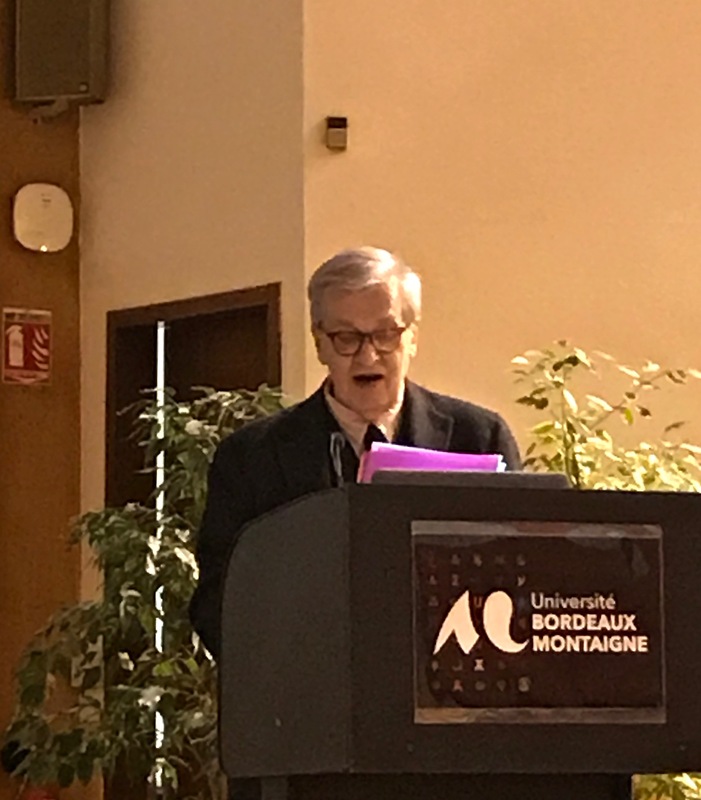 I was very pleased to be a speaker at a conference organised in honour of Richard Dyer at the University of Bordeaux-Montaigne. The three days of the conference covered all of the areas that Richard has worked on. My own contribution focused on songs in the cinema: ‘De l’utopie en-chantée à la chanson-cristal dans Call Me by Your Name’. 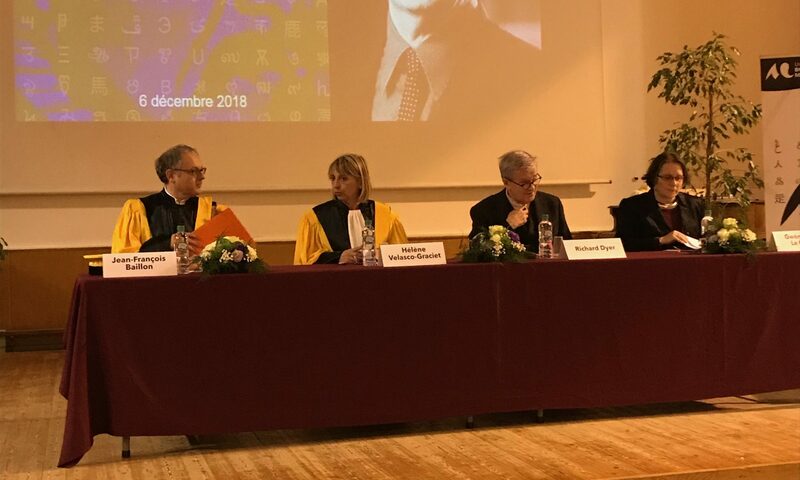 At the end of the conference Richard was made Doctor Honoris Causa of the university, and gave an oration that was superbly illustrated with clips and screen captures. 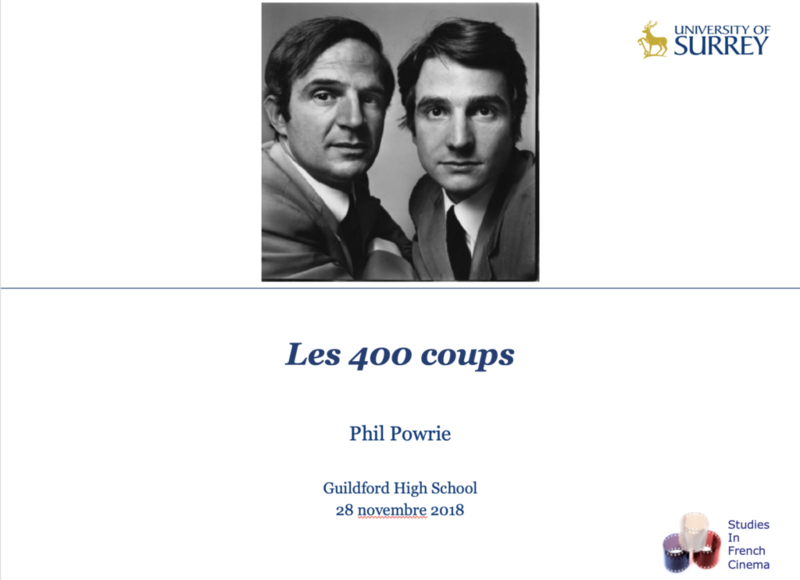 I gave a talk (in French) on Truffaut’s Les 400 coups to a group of sixth-formers studying French at Guildford High School on 28 November 2018. I talked about the context of the New Wave, the structure of the film. We then worked on a sequence from the film so as to practise the use of film language and how to interpret the main themes of the film as treated on the sequence. I gave a talk (in French) to a group of new teachers of French for the Princes Teaching Institute at the Pimlico Academy on 10 November 2018. This is the third year that I have given such a talk. 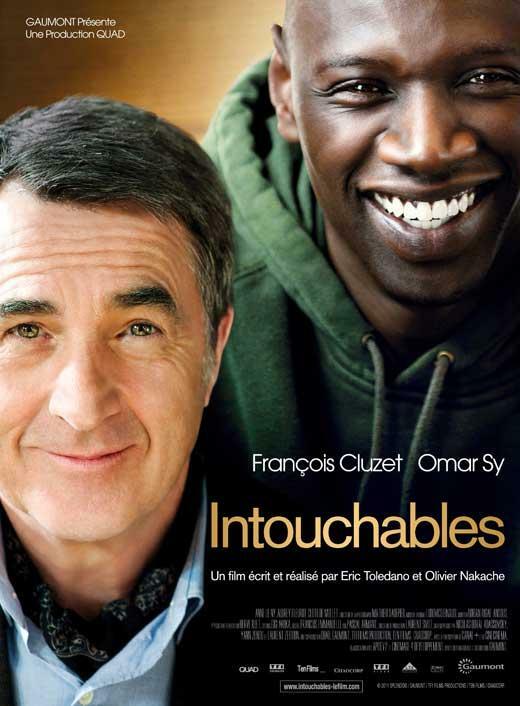 This year it was on how to teach the 2011 French film Intouchables. I was invited on the Distinguished Visitor Programme at the University of Queensland during August and September 2018. 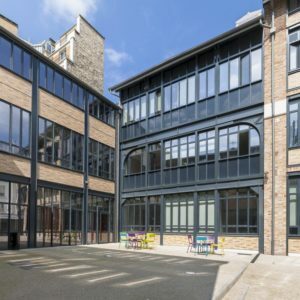 While there I gave a number of talks: an undergraduate lecture on the film Karmen Geï; a postgraduate masterclass entitled ‘From the musical moment to the crystal-song in some recent Hollywood films’; a public lecture on ‘(Re)viewing French cinema’ (the featured image for this news item), and a workshop for the ‘Studies in Culture’ research cluster to foster a collaborative approach to research culture across the various language groups of the School. 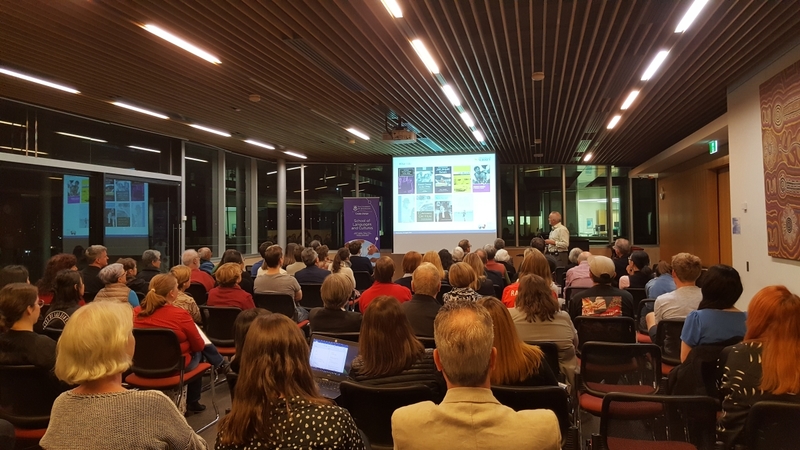 I then went to Melbourne to give a talk on ‘The crystal-song in contemporary French cinema’ to the Melbourne Screen Studies group, and on to the University of Adelaide where the Department of French was celebrating their hundredth anniversary. 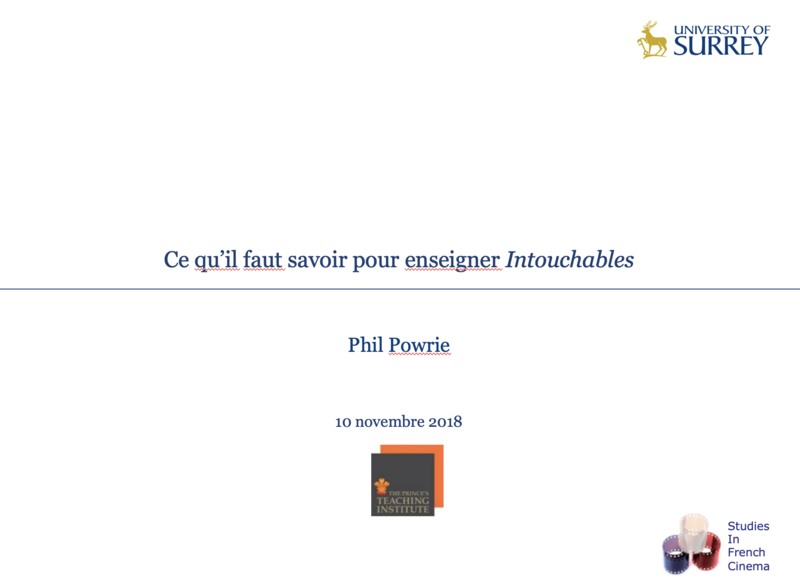 I gave a public Lecture on ‘(Re)viewing French cinema’ and an English & Creative Writing seminar entitled ‘From the musical moment to the crystal-song in some recent Hollywood films’. Nadine was also working, but we managed to find the time to visit Uluru. I gave a a talk on European cinema to a large audience of schoolchildren and the general public as part of the Guildford Twinning Association‘s lecture series on 3 October 2018. 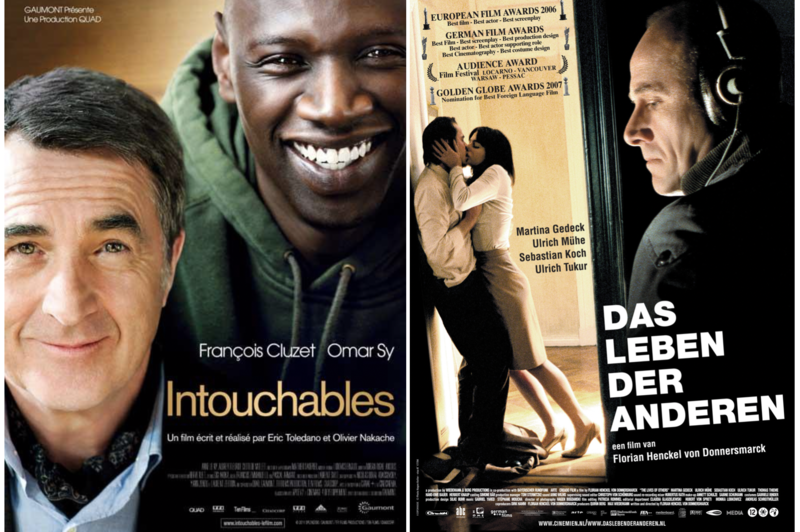 After giving a broad context for the production and distribution of European films I focused on two films in particular which are both on the A-Level syllabus: the French film Intouchables (2011) and the German film Das Leben der Anderen (2006). The GTA is currently twinned with Freiburg, but is hoping soon to be twinned with Versailles. 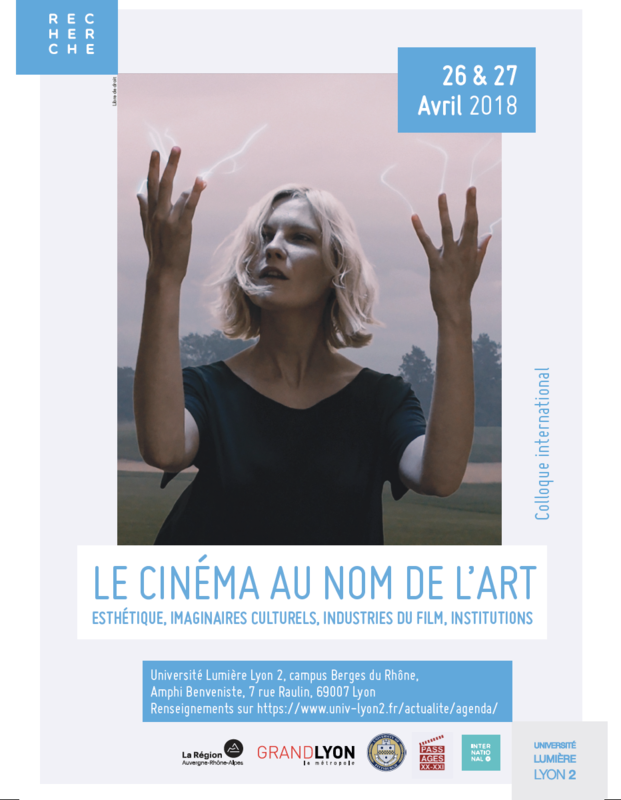 On 26-27 April 2018 I gave a paper entitled ‘Eroica-cinéma: Un grand amour de Beethoven (1936) et Louise (1938) d’Abel Gance’ at the conference ‘Le cinéma au nom de l’art’ held at the Université Lyon 2 – Lumière. 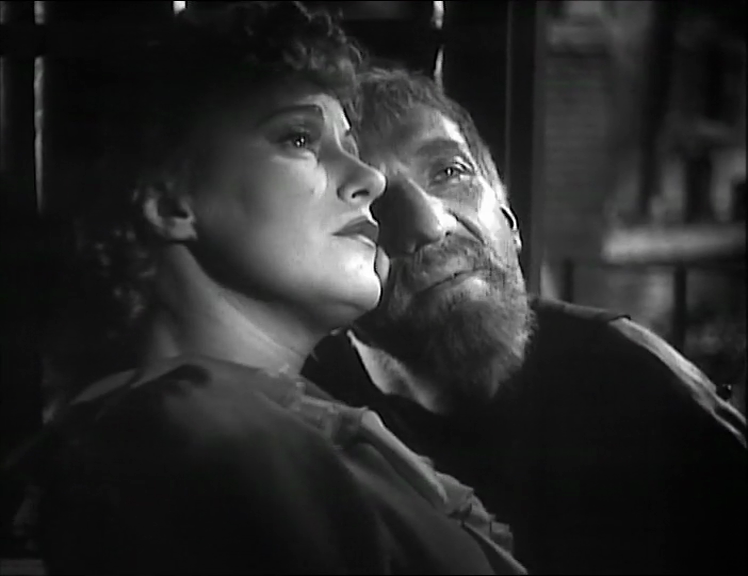 The close-up of father and daughter in Louise.